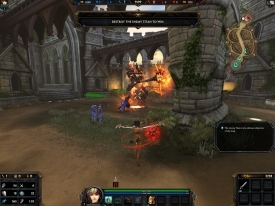 "A free to play MOBA game that puts you in the heart of the action and in the shoes of a god!" 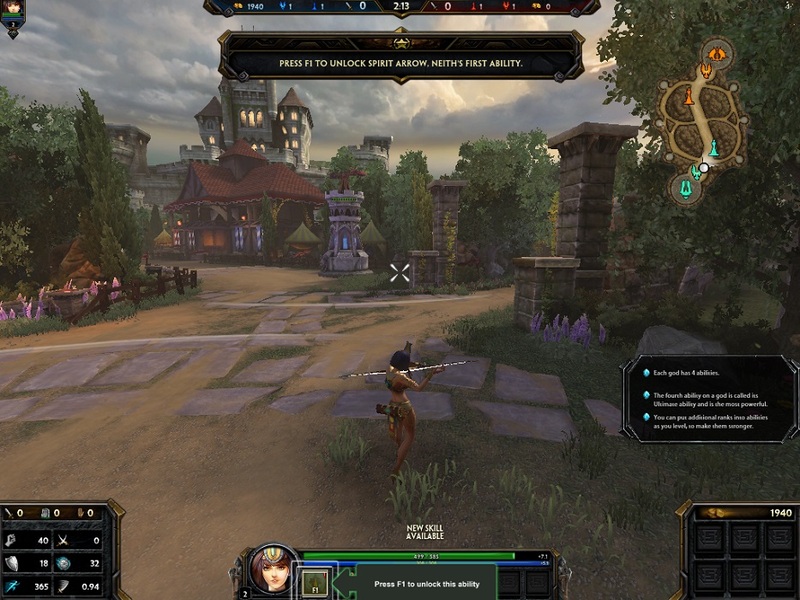 In Smite, you are a god. You're task is simply to triumph over your opposition using a range of skills and weaponry that is as godlike as you are. 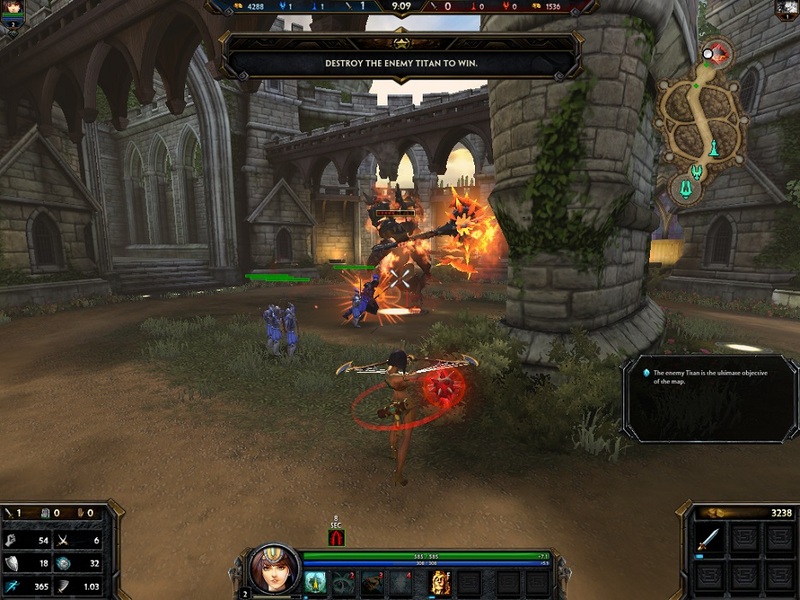 Smite is a new take on the MOBA genre as it puts you in the heart of the action instead of above controlling it. You don't click spots on the map for your player to move to, instead you use the WASD keys in combination with the mouse to move and fight your way through enemies. As a god in Smite, you have all power and in order to be successful, you have to be relentless. Cut through your enemies with your sharp weaponry, freeze them in ice, burn them all, or drown them all. Your choice from a diverse cast of deities allows you to truly be in control of your power and customization. Mastering your abilities will allow you to fulfill various roles such as damage dealer, tanking, crowd control, and more. As you explore the map and defeat AI enemies, you will increase your gold and buffs that help you and your allies. You can power up during a mach to cause your abilities to gain strength. You level up from 1 to 20 and purchase in game items that further increase your god's strength and abilities. 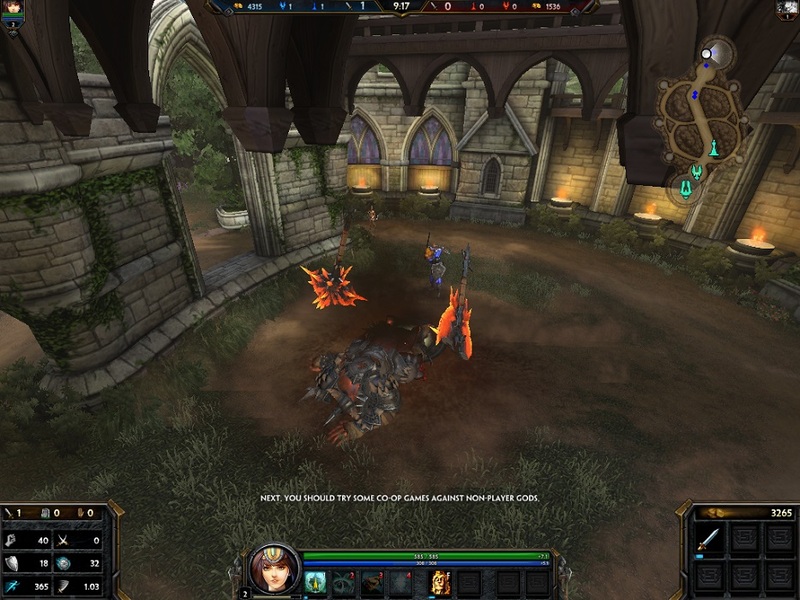 Best of all, Smite is free to play. You can learn and master all of the abilities just by playing the game. At launch you have access to a limited set of playable gods and you can unlock other gods through game play or micro-transaction.